Great event we are partnering with for social impacters out there! Do you work in a company or project that aims for social impact? Are you hoping to meet others like you or learn about what supports are out there? Are you interested in making the world a better place? Do you want to get involved in projects about topics from sustainability, to inclusion to ethical fashion and more? We are delighted to invite you to the LAUNCH of the Catalyst series – taking place in the beautiful venue of the Chocolate Factory from 18:30-20:30 pm on March 14th – with nibbles catered by the lovely Blas Cafe. Please find your invitation attached (RSVP required). Whether you’re a seasoned or budding social entrepreneur, the Catalyst series is for you. Our mission is to bring together the existing community of people working in the space and those with an interest in it – in order to help support and strengthen each other – and grow the social enterprise ecosystem in the city. To RSVP, please fill out this link by Wednesday, February 28rd. The link will ask you a few questions about your background and what you’d like out of the event, so that event designers Connect the Dots can ensure the event content and format is tailored to your needs, and therefore as productive and valuable as possible for you. 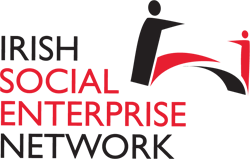 This series is brought to you by Community Finance Ireland, and supported by SEDco, Social Innovation Fund Ireland, Ashoka, Social Entrepreneurs Ireland and The Social Enterprise Network. Connect the Dots have come on board to design the series, leveraging their people-first event design process which uniquely gives attendees such as yourself a say in the event content and format. By co-creating events in this way, Connect the Dots will ensure that Catalyst is as relevant, engaging, and impactful as possible for you. Hope to see you soon to spark social impact, together. PS For more updates about the event and social impact ecosystem here in Ireland, you can follow Catalyst on Facebook here and the launch event here.